Earlier this month ex-TEPCO VP Sakae Muto testified in the criminal negligence trial where he and two other TEPCO execs face charges. Ex-TEPCO Chairman Tsunehisa Katsumata and Former Vice President Ichiro Takekuro have both completed their testimony in court this week. Katsumata claimed a tsunami such as the one that hit Fukushima Daiichi could not be predicted. Katsumata was briefed on the potential 14 meter tsunami in the same meetings the other TEPCO execs attended. He claimed he had no authority to make business decisions. Katsumata was previously the president of TEPCO and later changed job roles to be the company’s chairman. Katsumata was TEPCO president in 2008, by 2009 he had moved to the chairman role. Katsumata became president in 2002 after the sitting president resigned the role in another nuclear scandal. Katsumata also acted as the president of the Japan business group the Keidanren that wields considerable political power in the country. Former VP Muto testified earlier that he briefed Takekuro on the decision to not act on the tsunami report in August of 2008. Takekuro denied being briefed by Muto. He claims he was not informed of the decision to not act on the tsunami report until about 9 months later by a subordinate. He claimed he was told the simulations and reports were “unreliable“. 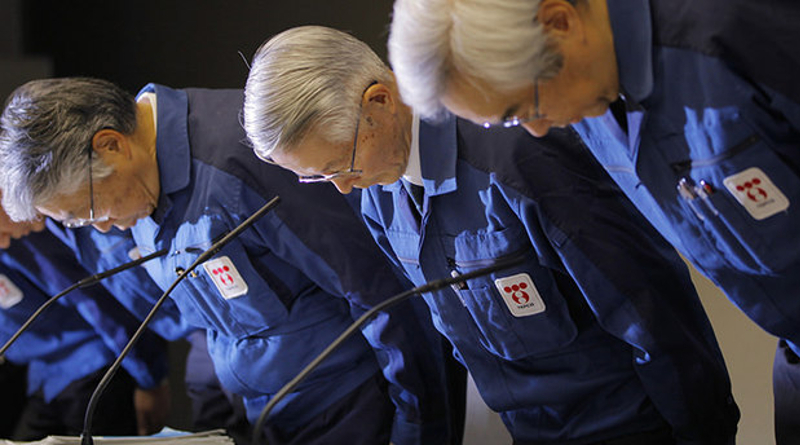 Witnesses say that Takekuro and the other two TEPCO executives were in attendance at a February 2008 meeting on new tsunami counter measures and that all three approved the changes. Takekuro claimed that any meetings held were not the kind where official decisions could be made yet meeting minutes from a March 2008 meeting showed that the proposal was approved. Family members of those who died due to the nuclear disaster will testify next. These include family of those who died due to the evacuation of Futaba Hospital in Futaba, Fukushima.